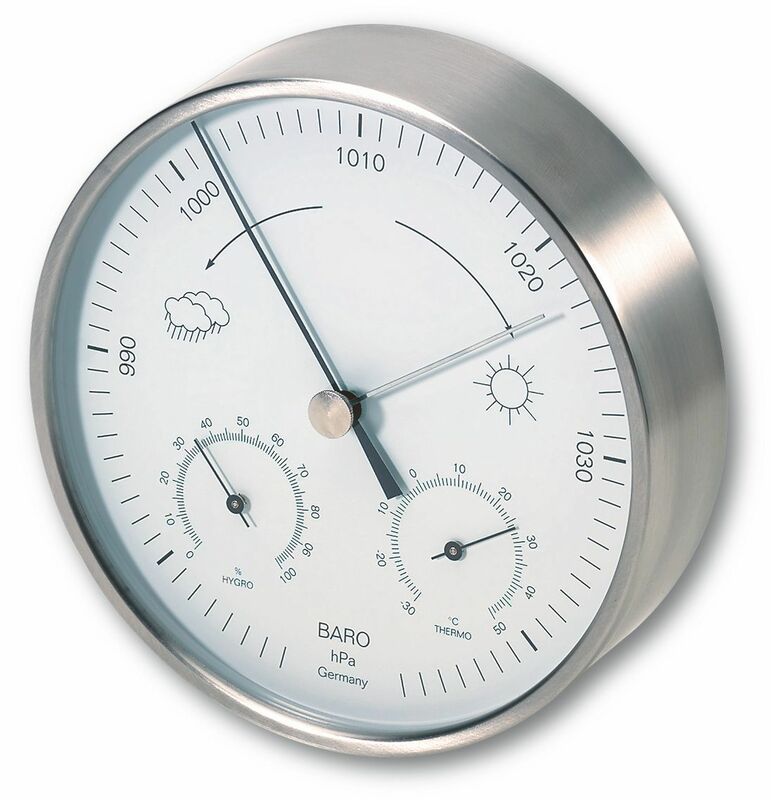 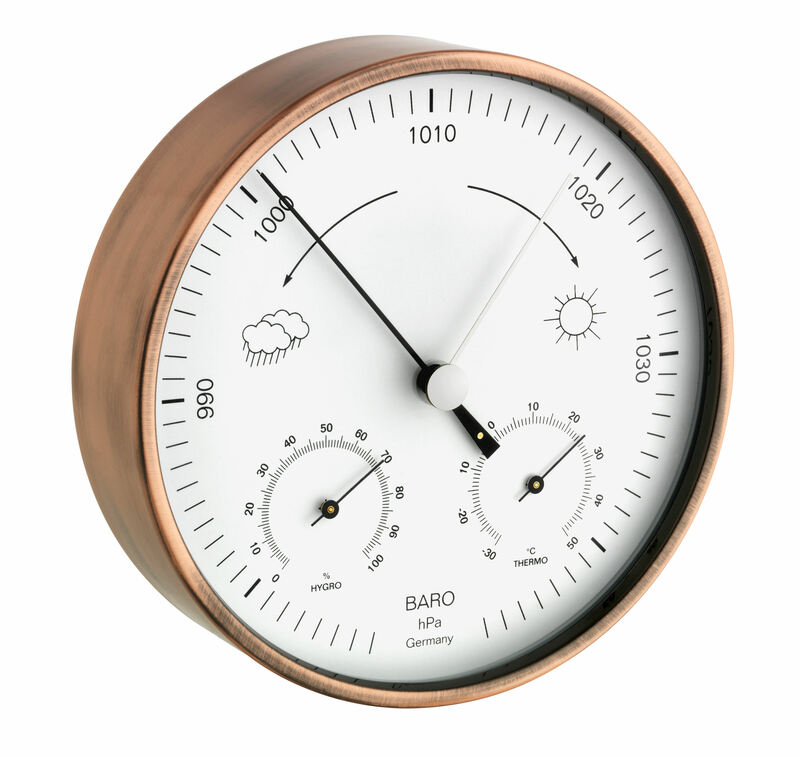 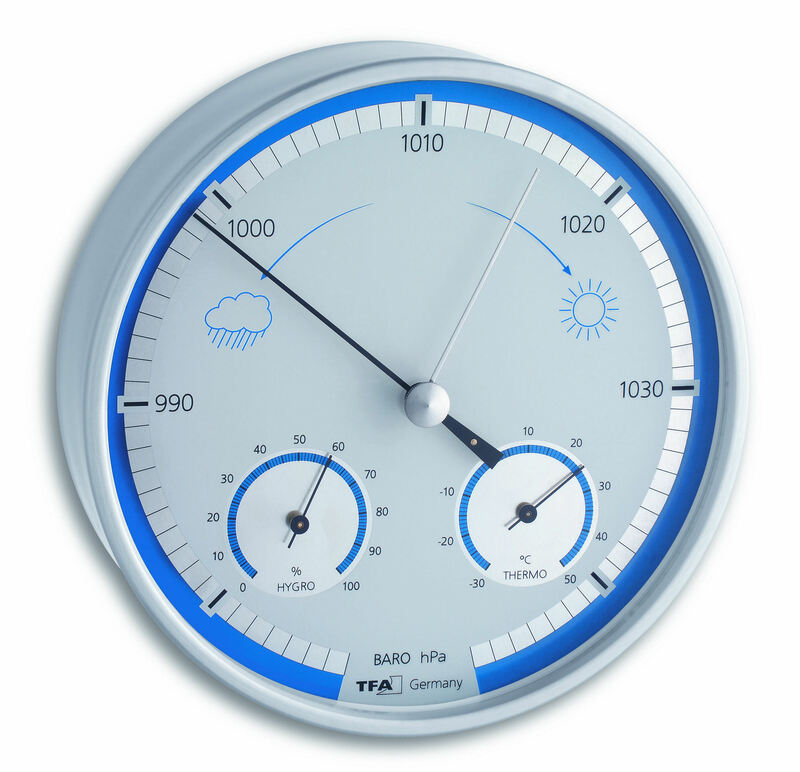 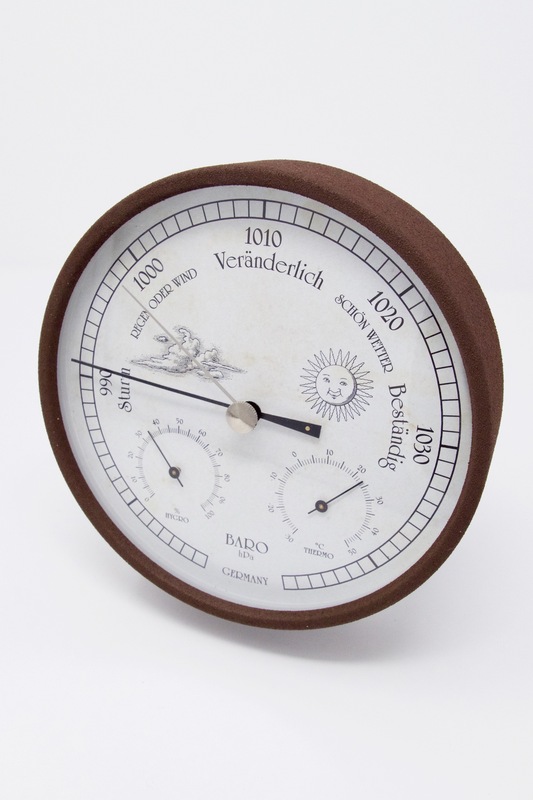 The timelessly elegant metal design with glass cover makes this weather station a modern classic. 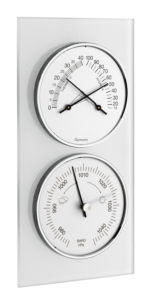 This elegant piece complements any décor and it can be used in the living room, as well as on the balcony or terrace. 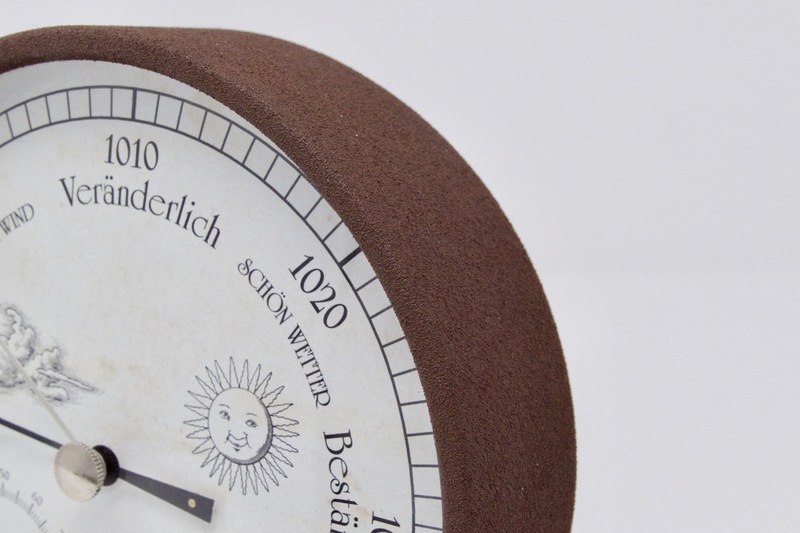 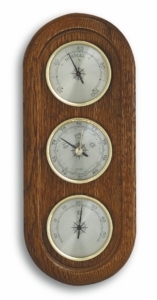 The works consist of a barometer, thermometer and hygrometer.